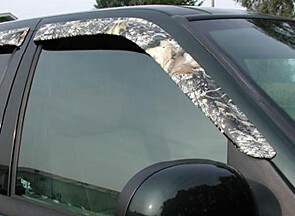 Sidewind Deflectors vent visors from Stampede are made from high quality acrylic. They allow you to cruise with your window open, stopping rain, snow and sleet from entering your cab. At the same time, give you the fresh air needed to have a comfortable driving experience. 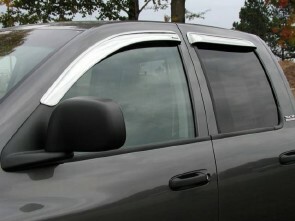 Today's modern aerodynamic body styles' form fitting doors and windows no longer feature "rain gutters" to channel away water. The result is usually water dripping into the interior. 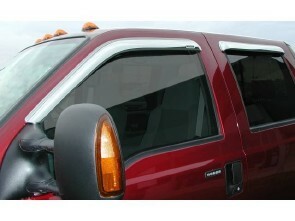 Sidewinds act like a "drip-edge" for your vehicle, this allows you to keep your window partially open for ventilation, without the rain getting in.